Whether you’re thinking about asking your doctor for phentermine, or already take phentermine, it’s always encouraging to see other people’s before and after progress. Here we’ve included a selection of profiles from our phentermine.com success stories page. These real phentermine users talk about their motivations to change, weight loss victories, and some benefits of their now-healthier lifestyles. You’ll find summaries of their inspiring journeys below, and if you follow the links to their pages you can read more and see their phentermine before and after pictures in full-size! Chrissy decided to lose weight while planning her wedding. Nine months before the ceremony she decided that she didn’t want to “feel fat” on her big day and asked her doctor about phentermine. Thanks to her recent weight loss, this motivated woman now has the energy and freedom to take part in activities that she would have surely avoided before (like zip lining!). Dealing with the guilt of cheat days can be hard, but Chrissy has also noticed that she can’t finish big meals like before anyway. Her advice is to take your weight loss one day at a time and listen to your body’s hunger cues. Also take pictures and measurements so that you can see your progress, even if the number on the scale isn’t moving as much as you’d like. Finally, she’s a big fan of Phentermine.com’s support group on Facebook and says it’s a great place to ask questions and get answers and encouragement from other phentermine users like you! Mayling started her phentermine journey after seeing a “before” picture that acted as her wake-up call. She says the biggest challenge has been not letting others (her husband, family, etc.) dictate her goals for her. Now, after losing the weight, she is excited about wearing smaller clothes, her increased stamina and energy, and better self-control. Mayling advises others to decide why they’re embarking on this journey and not give up. Above all, make sure that you’re losing weight for YOU and take pride in the fact that you’re moving closer to your goals each day. Don’t give up! Jenna embarked on her phentermine journey after gaining weight during the pregnancies of her second and third children. She was a fit kid and never struggled with being overweight until the birth of her first baby. As a new mother Jenna gained over 100 lbs. Amazingly, she eventually worked all of that weight off with diet and exercise alone. However, after gaining another 110 lbs during her second and third pregnancies, this young mom knew she had to take control. Her turning point was when she couldn’t even recognize herself in a video. Jenna started Weight Watchers and lost 90 lbs by adopting healthier habits. Unfortunately, she eventually plateaued, couldn’t resist the cravings and started yo-yoing. That’s when a friend mentioned phentermine. With the help of this medication, Jenna began sticking to her food and exercise plans again and dropped those extra pounds. Michel was overweight his entire life, topping 200 lbs in high school and over 300 lbs in college. Despite his fun and outgoing nature, his weight held him back from lots of things. He wasn’t taking part in social functions, trips, or pursuing his music and theater dreams. He knew he needed to change when he realized everything he was missing. Still, it was hard because he loved food, loved eating, and struggled with overeating in general. 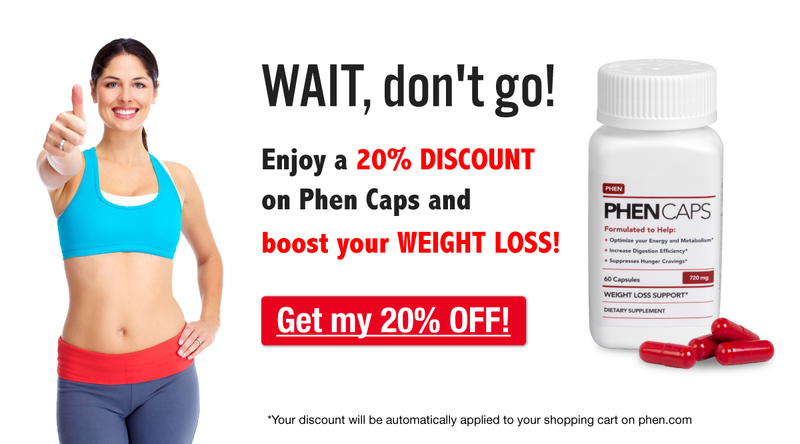 After trying multiple celebrity-endorsed, over-the-counter diet pills with no success, Michel heard about phentermine. He says the hardest part of getting healthy was learning self-control in social situations. It’s challenging to go out with friends and not snack constantly, especially when others aren’t making the same healthy choices. That being said, he loves people’s reactions when they see him after a long while and don’t recognize him because he’s so much skinnier. He was especially thrilled when a salesperson told him he was so thin that he needed a slim-cut suit! These phentermine before and after pictures show his phenomenal weight loss success. Andrea decided to lose weight when she realized how much being overweight was lowering her self-esteem. She had rapidly gained about 40 pounds in five months’ time and couldn’t lose it no matter what she did. That’s when Andrea decided to talk to her doctor about a phentermine prescription. Now she’s lost almost 60 pounds, feels better than ever, and loves saving money by skipping the drive-thru. Her biggest struggle is eating healthy while her husband sits next to her snacking on junk food. But, like many others, she loves the newfound energy to keep up with her kids! For all the phentermine users out there, she says “Things can get better if you want it bad enough!!”. Sarah was always a “big girl” growing up, and it worsened as she got older. Despite aging, she continued to eat like she was sixteen and put on the pounds little by little. At her heaviest, Sarah weighed 239 lbs and was embarrassed to be tagged in pictures on social media or go out with men. That’s when she decided to make a change and talked to her doctor about phentermine. This weight loss star has lost almost forty pounds already, and loves the compliments she receives from coworkers. Sarah works closely with her doctor to set realistic goals (10 lbs per month) and watches her portions on a low-sodium diet. For exercise, she chases toddlers around all day at work and just joined the gym with a girlfriend. Sarah says the hardest part has been partying less, but she loves when guys check her out and the feeling of too big jeans falling off her now-smaller hips. Do you have a phentermine success story that you’d like to share to inspire others? We’d love to hear about it on our success stories page! If you’re looking for more inspiration and support, check out our Facebook support group. If you’re interested in seeing some more amazing before and after pictures and stories, you may like our My Phentermine Journey board on Pinterest board. Good luck to everyone on their phentermine journeys!